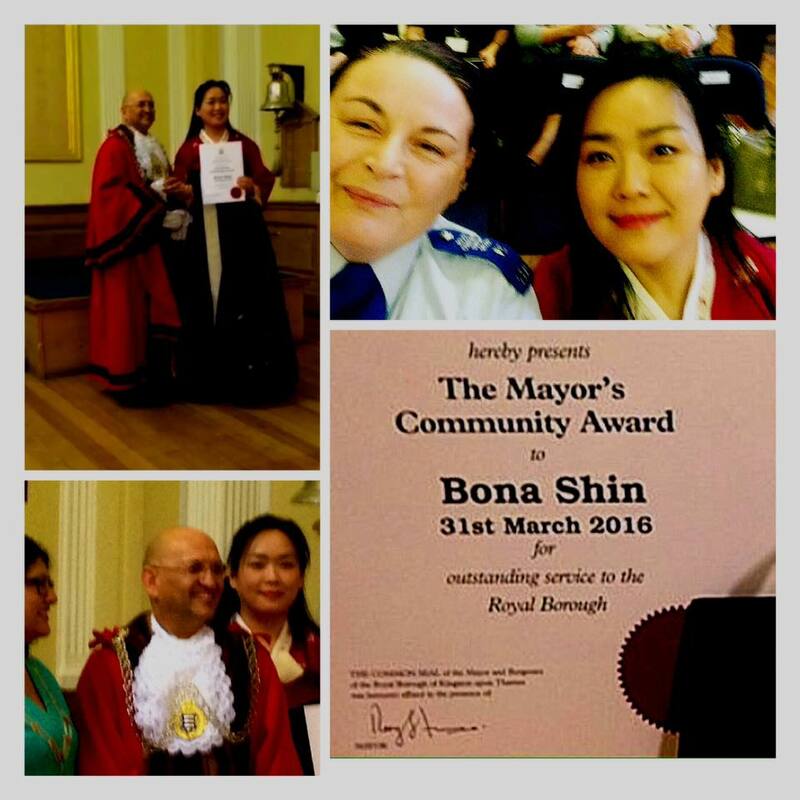 Congratulations to Bona Shin of the Korean Information Centre in New Malden for winning the Mayor’s Community Award for outstanding service to the Royal Borough of Kingston-upon-Thames. The award was presented on 31 March 2016. The Korean Information Centre opened on 2 February last year with the aim of building a healthier and happier Korean community by transcending cultural barriers. You can find a video of the award ceremony on the Korean Information Centre’s Facebook page.